When Words Aren’t Enough – There Must be Action! 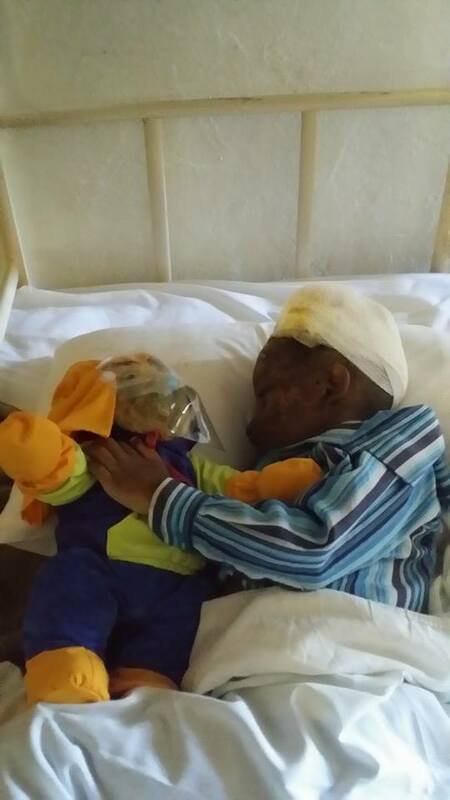 I would like to start this blog by saying that this is as difficult to write as it is to read, and we have the consent of the Xeroderma Pigmentosum Society in South Africa and their parents to release these photographs. I appreciate that this is hard to look at, and I deeply respect the parents and children for sharing these in the hope of shining a light on theirs, and others like them daily struggle. When we learnt 3 years ago of the first Camp Bushbaby in South Africa and the work of Maryna De Beer who runs the society and provides a valuable hub and annual gathering to extremely vulnerable XP sufferers, we felt immediately that we wanted to support them. 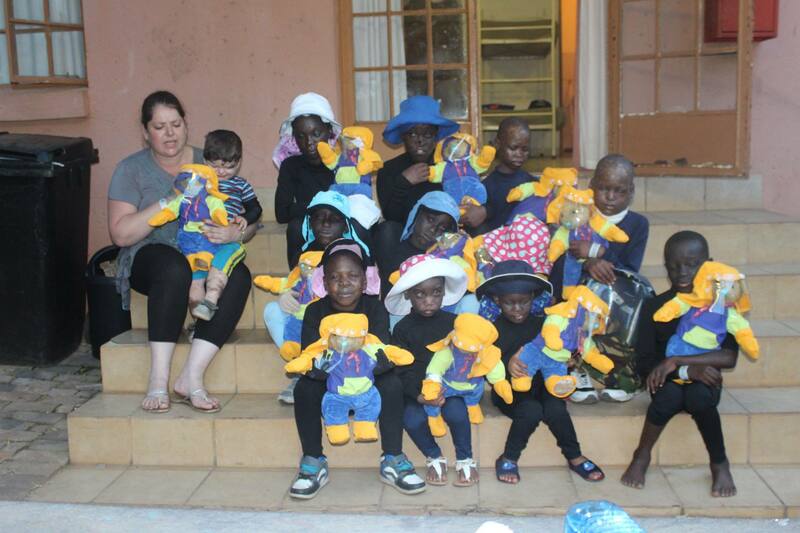 Last year we at Teddington Trust were able to provide a UV protective outfit for every child attending and so we were determined that these children should also be the first to received the Little Ted educational bears and books. And while we have been waiting with much anticipation to see how the children enjoyed their gifts this has been very bitter sweet as Maryna released pictures of camp. A particular one of 14 year old Nquobi, who is extremely poorly, receiving his bear stood out starkly, and even as complete a pacifist, I find myself as mad as hell!! 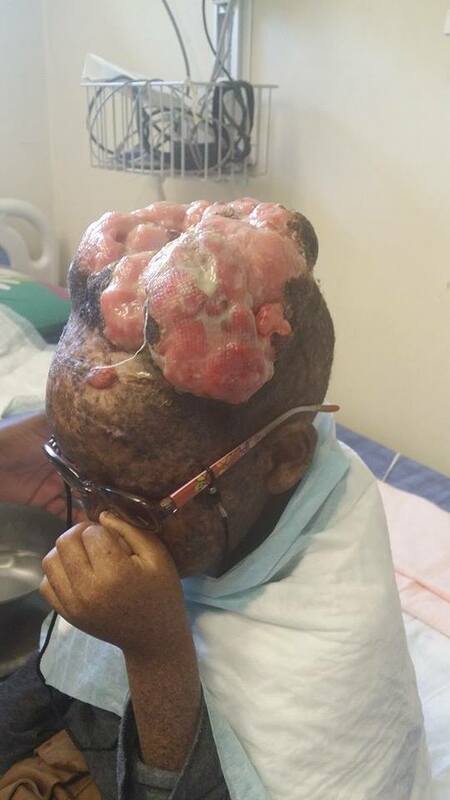 This dear boy is most severely affected by aggressive skin cancers including tumours into his brain. In the last 11 months this little boy’s condition has worsened and the tumours have grown substantially while awaiting for rescheduled appointments, cancelled operations and through the general lethargy of the system under which he lives. 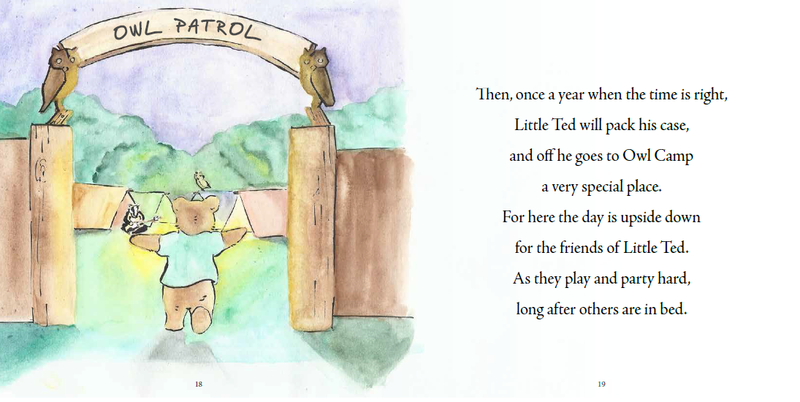 With appropriate early intervention this could all be avoided, and such suffering prevented. Shockingly this is not an isolated instance, many children at the Camp are gravely ill and suffering for want of action and access to much needed medical attention, which sadly is a story not solely resonating from South Africa but also in other regions across the world. In 2015 that any child should die from skin cancer is nothing short of a crime. To put this into absolute perspective, these children have the very same condition as Eddison and others like him in the UK. What separates him and them, is this, and this alone – Access to an exceptional NHS National XP Service achieving early and prompt diagnosis and outreach support and valuable education, Access to Photo-protective Films and Fabrics and Access to rapid response removal of cancers. (If a patient visiting the UK National XP Clinic has cancer suspected, it is removed that afternoon, it is not left for months and years in this inhumane way). With such relatively small numbers of XP patients globally, it is abundantly clear to me that this should be treated as a global matter, and that every Trust, Society, Support Group and Organisation across the world supporting XP in their own way, needs to come together and centralise data, share information and work in the true spirit of Collaboration to make sure that Education and Awareness are at the forefront and the priorities for all can be achieved regardless of country. But, we can all play a part in this, I am no politician, activist or the kind, but I urge you all to share this at every level in every region and if you know your local MP make him/her aware. Don`t let`s just look, shed a tear, then forget! It seems to me that at very varying levels across the world sufferers of Xeroderma Pigmentosum consistently fall through the net and fail to achieve the basic recognition, support, life saving protection and treatment necessary from their home lands. Regardless of Party, Government, Regime, Language, Country or Continent every parent with a child with this rare condition should be assisted to ensure that these most basis needs can be met for this incredible group of people who are simple dying from daylight! Rare and misunderstood should not equal ignored and forgotten!! We had a real joy this afternoon when we took the boys to a soft play center that I really wanted to share with everyone. Both boys often ask about finding soft play and unfortunately our local one isn’t safe so they have mostly missed out on this. Having trialed various venues further afield we finally found one that we could make work. Not without compromise though; it means that Eddison has to stay within a certain area within the footprint and not go beyond the 1st deck of 4 deck play structures. Great though this is, it does unfortunately mean that he can`t access any of the entrances to the various great slides, and when faced with the option of putting his hat and gloves on to ride the slides he always declines. Sensing his disappointment and watching him keep glimpsing up, I thought I would take an opportunity to speak with the Manager to see if they might be receptive to considering a future change of light bulbs. After asking to speak with the Manager he promptly appeared and after giving him a brief summary of the position and without any hesitation he immediately offered “would it help if I just turn them off”!! And just like that it was done, and within minutes, the confines of his invisible barriers were lifted and it was access all areas. Furthermore, he muted that a possible change to safe LED bulbs may be in line with planned changes. I can assure you that every slide, tunnel, and inch of cargo netting was scaled including the joy of doing rollie-pollies across the sky top astroturf football pitch! So I would like to say a MASSIVE THANKS to Kidzplanet Folkestone, who with one simple gesture, made one, NO, two little boys VERY HAPPY!! 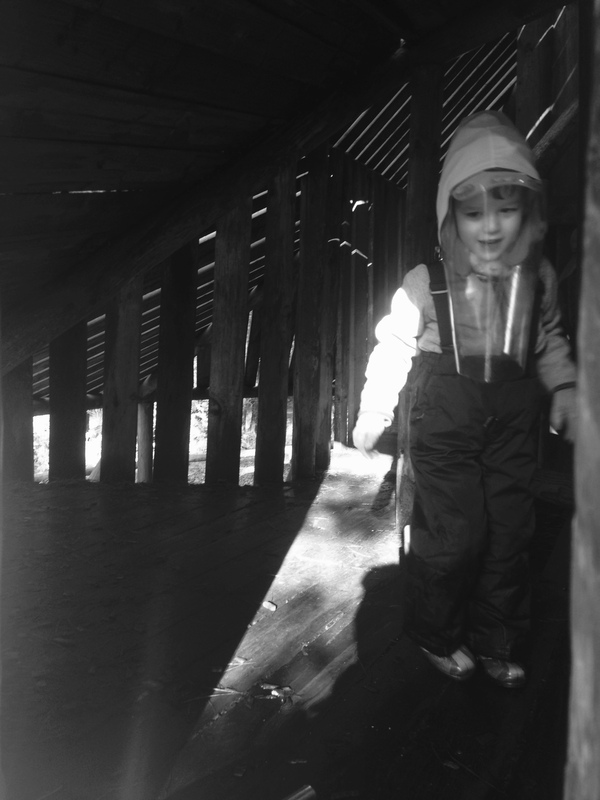 We watched the film and no more was said, then over 24 hours later while tucking them up in bed tonight, Eddison sits up as I am leaving the room and out of the blue says “I don`t think I can go, my visor will get wet”, “go where” I said “in the water” he replied. It was one of those all too frequent times at the moment when I realise just how much this little man has to deal with. Over and above the various subtle strategies he has developed to compensate for the losses and voids in his life, there is a whole layer of thought process that he carries with him every second of every day which involves him constantly scanning his current environments for safety as well as assessing how he fits safely into the future. Recently a daily question has emerged “Is it still Winter”, so aware is he, that the nights are drawing out with the subtle change in daylight that his thoughts are turning to the prospect of Spring and Summer around the corner; most 4 year olds would be completely oblivious to such a subtle shift, but this is not lost on Eddison. It`s so difficult to grasp the level of emotional affect and anxiety it must have on him to have an inherent fear of the very air around him, and to cope with the feeling of vulnerability to be so entirely dependent on those around him to ensure his safety and make wise choices on his behalf. I find the only way we can keep up with his ever maturing understanding and comprehension of what having XP really means to him, is to pause for a minute and take the time to have a stroll in my mind through his day, his week, his month and try as best I can to see things through his eyes, with the weight of his thought process, fears and anxieties. It`s a real hope of mine that as he progresses through life, others around him will also on occasion take a minute to do the same, and with the benefit of seeing a glimpse of life through his eyes will gain a real understanding what makes Eddison, Eddison.